I remember the first time I shopped for a car seat. As I wandered the aisles of a baby superstore, I stared wide-eyed at the wall of different car seats options. What features did I really need? What car seats were really a good deal? Choice is great, but it can also be overwhelming. I eventually figured it all out; and, now that I’m a mum of three boys, I’ve definitely done my share of shopping for car seats and booster seats. If you’re in the market for a new car seat, you’re in luck. We’ve rounded up some of the best baby car seats, convertible car seats, and booster car seats of 2015 to keep your kids safe and secure during your travels. Looking for an affordable infant car seat? One car seat to last you from infancy to age 10? (It exists!) Need a booster seat that your big kid won’t mind? We’ve got you covered! • Avoid borrowing a car seat from a friend, unless you know its history. You never want a car seat that’s been in a car crash. 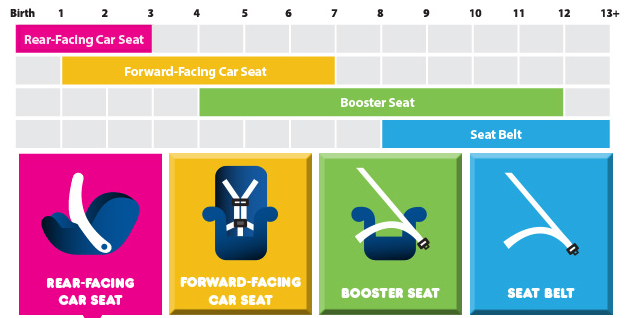 • Ensure the car seat that you buy, whether it’s new or used, is in excellent condition. It should be free of cracks in the frame, and there shouldn’t be missing parts. • Make sure the car seat is a good fit. The harness straps should fit snugly against your baby’s body, with the chest clip at armpit level to keep the harness snug against the child’s body.